955 million monthly active users at the end of June 2012. Approximately 81% of our monthly active users are outside the U.S. and Canada. 543 million monthly active users who used Facebook mobile products in June 2012. It’s absolutely necessary to get a presence on this free social media site if you are running a small business. 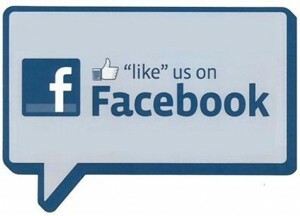 Your Facebook page is a complement of your business website. You can integrate your Facebook page with your website so that when you publish a blog post on your website, it will automatically show up on your Facebook page as well. Also, add a “Like” button on you blog post – when people “Like” your blog post, an update will display on their Facebook wall, which will attract more attention/visits to your Facebook page. It better late than never. Visit Facebook now to create a profile for your small business and start building relationships with your clients.